A handicap accessible home, restaurant, hotel, or even a cutaway on a city sidewalk, make life so much easier for you if you live with limited or no mobility. Making sure that these will be available when you go out is another thing entirely. Outside your home, there isn't much you can do about whether a place you visit is accessible. You will have to make it a point to always call ahead and make sure a restaurant, hotel, or other place of entertainment, is accessible. Sometimes you can talk to others to see if a particular place will meet your needs before stepping out the door. Sometimes I'll just drive around an area first to see which places are handicap accessible. That way, we won't have to get in the car and make an necessary trip sight unseen. Another way of accessing a place, is to look online. Many times (at least nowadays), a restaurant will have pictures on their website along with a legend listing it's amenities. And if you talk to a person, they may be able to answer your questions without you ever having to leave home. Unfortunately, a mobile persons perception of what is accessible may not really be accessible. So, through no fault of their own, their answers won't necessarily be dependable. Believe me. We know from experience. As far as your home, that's something that is entirely within your control and depends more or less on your budget. 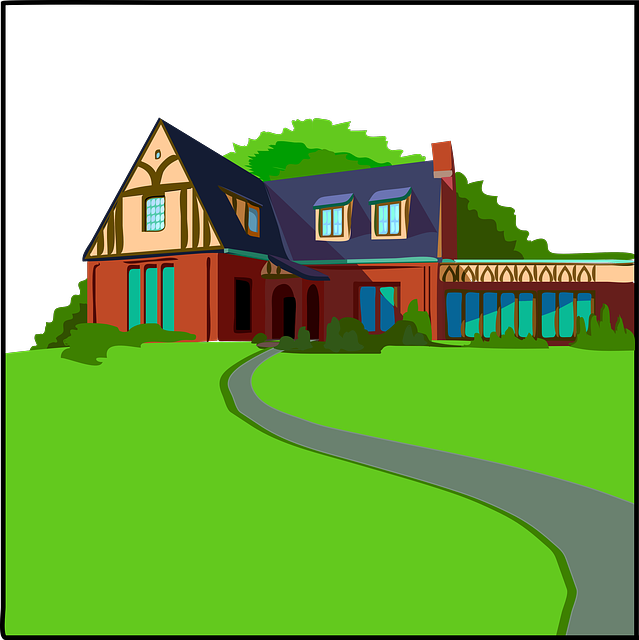 An accessible home may take quite a bit of time and research if you are looking for a new place to live. And if you are already in a place, assuring its accessible will mean making accommodations that help you do things easier and safer. At the very least, one entryway should be able to accommodate a wheelchair or scooter. All interior doorways need to be wide enough for the wheelchair or scooter to maneuver easily through them. Hallways should also be wide enough and all areas should be clear of clutter. This is so that any mobility aide you use can get through safely and without any problems. Your floors shouldn't have throw rugs and preferably no carpet unless it's berber. Hardwood and tile or vinyl are better, choices. We love wood floors. They are very easy for Cir to walk on because his feet don't catch. Preferably, you shouldn't have any stairs if you use mobility aides. At least, you shouldn't have them where you spend most of your time. A home with a first floor bedroom and bath is perfect when stairs become too difficult to navigate safely. 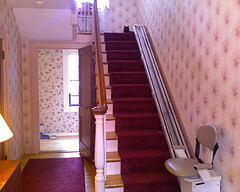 If you don't want to move or can't find a home without stairs, try a stair lift. This is a motorized seat that is attached to the wall on one side of the staircase. When turned on, the motor pulls the person in the chair, up (or down) the stairs. It's a much safer alternative than walking up or down the stairs several times a day. There's more - to go to part 2 of handicap accessible, go here. Click here to go to handicap accessible Part 2.